Spinal cord injuries are very involved and very serious! Pain originating from a spinal cord injury will impact the entire body and can lead to other symptoms such as leg cramps, arm stiffness, muscle tightness, hand and feet numbness, headaches, and many other annoying and serious health problems. This sort of pain can make the day unbearable and can steal away all the joy and pleasure of being with family and friends and living life. Here at Tree of Life Wellness Center, our goal is to go above and beyond each time- every time for every single patient who comes to us in their time of need! When it comes to chiropractic care after an auto accident, being able to get effective treatment for back pain is the ultimate goal of protecting your spine, back, neck, and the rest of your body! Call us today to set up an appointment and get started! Auto accident injuries happen every day and even something minor like a fender bender can cause problems if the spine is impacted at all. The first thing people usually think about right after an accident is the damage to their car and everything involved with insurance, repairs, and rentals. With emotions are running wild and adrenaline is flooding the system; this makes pain seem less of an issue. Many victims do not realize how bad their injuries truly are right away and it can days or even a week at times before the full extent of the damage done is realized. By then the injuries can become much worse and require more therapy and work to make it right. This is why after any auto accident, even if you feel fine, you need to be seen by a doctor and talk to your chiropractor so they can ensure your spine has not been injured. Good chiropractic care after an auto accident is critical to your overall health and wellbeing and at Tree of Life, we are committed to providing everyone who comes to us the most effective treatment for back pain after an auto accident! Chiropractic care after an auto accident is critical because there is a lot that can happen to your spine after such an accident and even minor issues likes pulls or slight shifts of the vertebrae can have long lasting and deep reaching repercussions. 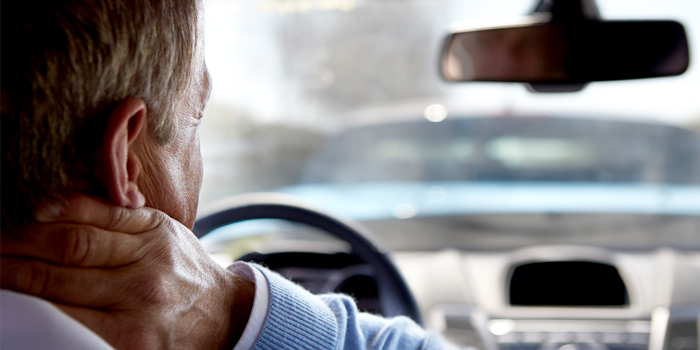 The most common injuries we see in patients who have been involved in some sort of accident while driving include muscle pulls and sprains, vertebrae and disc damage, and even direct damage to the spinal cord itself. Because of the wide range of injuries and the type of damage that can be present, chiropractic treatment and care is an important part of the puzzle when it comes to getting help and rehabilitation care. Sometimes pain medications are enough to deal with minor injuries but in almost all cases, some sort of chiropractic adjustment, care, or treatments are needed to get the spine back to where it needs to be and to protect the overall health of the spine and the overall body! Putting off care increases the risk of a minor injury becoming something major and small inconvenient injury becoming a big deal and minor temporary pain can quickly become severe and even permanent in some cases! Do not take the risk- get seen right away and take care of your spine! If you or a loved one has been injured as the result of an auto accident, contact us today so we can get you back on track and help you recover! We are proud to serve the area and take pride in our commitment to providing the local community with the best chiropractic care available. Our team of chiropractic experts is made up of staff members who have years of experience in therapy, rehabilitation, massage, exercise, and chiropractor help. Our goal is to help you feel better, correct any problems and injury, and get you back to living your life free from pain! If you want the best of the best when it comes to chiropractic care after an auto accident then you need set up your appointment with Tree of Life Wellness today! Let us show you how easy it can be to get effective treatment for back pain and the difference it can make in your recovery! Make your appointment today; we look forward to seeing you!